KKR Tickets 2019 online details are placed here. If you are looking to buy the KKR Tickets for the 2019 edition of the Indian Premier League, you can get all the information on how to do that here. And if you happen to be a Kolkata Knight Riders fan, it would be a great idea to get match tickets for all games as soon as possible because now that it’s announced that the tournament will be played in India, expect the rush for a KKR ticket as soon as they are released. You can book your Kolkata tickets for the IPL on BookmyShow. The other option is to buy these tickets at select retail outlets in Kolkata (to be updated here). Having won two titles in the IPL, the Kolkata Knight Riders are one of the most promising and talented sides in the Indian Premier League but most of their success came under the leadership of Gautam Gambhir. With a changed captain, their showing will need improvement but they do look like they have the team to go the distance. The most basic ticket for the KKR home matches at the Eden Gardens was INR 400 last season and it is expected to remain something similar this year too. If anyone misses out on pre-booking their tickets online, they can be bought from the stadium counter on match days as well. The Box Office counter at the Mohammedan Sporting Club Ground will be open all seven days of the week between 10 am and 6 pm. Dinesh Karthik will continue to lead the side for the second year in a row, and he will also keep wickets for them. Joining the team will be Shubman Gill, who has shown he is a multi-format batsman and looks most likely to make it to the Indian squad at some point soon. Also in the KKR squad are the likes of Andre Russell, Kuldeep Yadav, Shivam Mavi and Kamlesh Nagarkoti, all of whom can help bowl their side to a win. Sunil Narine can double up as a batsman at the top of the order while Robin Uthappa will continue to feature for them. Chris Lynn and Joe Denly are the others in the squad. The iconic Eden Gardens stadium will continue to remain their home ground now that the IPL will be played in India, and the pitches are expected to be hard and bouncy and help both, the pacers and the batsmen. This should make for some exciting cricket in the tournament for KKR. The tickets for last season were available on BookmyShow, along with selected retail outlets. The prices are likely to be the same as last year, with slight differences. Fans from around the country will look to support their side by going for matches that the Kolkata Knight Riders play. Given the popularity of the team, there will be a shortage of KKR match tickets on the day of the game – especially for marquee matches like the ones against the Mumbai Indians and Royal Challengers Bangalore. One waits to see what happens when Chris Lynn begins to unleash his histrionics. 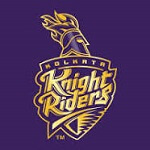 Kolkata Knight riders tickets online booking IPL 12 links, outlets are placed above.